Telemedicine is rapidly evolving in today’s world. Never before have families been able to connect with a doctor for minor illnesses with just a push of a button. This notion, however, is now a reality. Urgent Care for Kids is proud to announce the arrival of VirtualPediatrics, the first on-demand, pediatric telemedicine service in Texas, on July 20 2018. 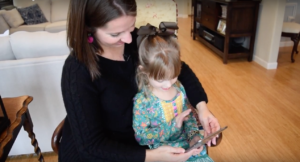 This efficient and convenient form of medicine enables you and your little one to speak with the same friendly physicians you’d see in our locations over video at a moments notice. Especially for families who live in rural areas of our state, braving traffic or potential wait times are no longer hurdles. 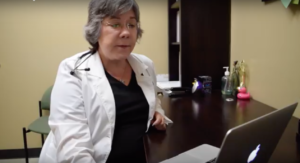 Our telemedicine service is also extremely unique because our VirtualPediatrics doctors bring a breadth of pediatric expertise to consultations both inside Urgent Care for Kids locations and now online. Telemedicine involves the remote diagnosis and treatment of patients by means of information technology. Patients can speak with doctors and receive a diagnosis just like they would in a physical office setting, but through video. Today’s technology allows revolutionary usage of transmitted images and other patient healthcare information making the telemedicine field a new and exciting way for patients to receive care quickly and accurately. How is telemedicine impacting the pediatrics field for both physicians and patients? Telemedicine gives families access to pediatric specialists whose advice might otherwise be difficult to obtain. These services are available for adults, but specialized pediatric urgent care is an area that is underserved, and Urgent Care for Kids is excited to meet that need online. Patients can also access physicians at a time and place that’s convenient for them, enhancing timely disease management and continuing care. On a physician side, doctors are able to access rapid and accurate patient records, which enhances a timely and precise diagnosis even more. It’s also important for patients and their families to know telemedicine is a secure and safe way to receive care when you need it the most. What makes VirtualPediatrics so unique? Children have always been our highest priority. Many families are without access to immediate and affordable urgent care designed for children in the areas they reside, so the need and demand for pediatric telemedicine has become increasingly apparent. VirtualPediatrics is the first telemedicine experience in Texas to offer pediatric expertise at such an impactful level. Patients and their families using VirtualPediatrics can also expect to speak with our very own providers, including myself, who continue to see and care for patients onsite in our 10 Texas locations. What about VirtualPediatrics are you most excited for? I am excited about the fact that a busy parent whose child just needs to be seen for a skin rash during flu season or for a sore throat when his two siblings have strep can be evaluated in a timely manner without waiting for their PCP to open a spot or expose the child to the flu in the waiting room. I am excited that a busy clinic or office can divert those patients with simple issues to a telemedicine pod or online to get care from a trusted provider. This will allow less disease exposure to the patient and allow the clinic providers to have more time for those who need a higher acuity of care. I am excited that a concerned parent can obtain medical advice without jeopardizing their ability to provide for their child’s other needs by taking time away from work. Urgent Care for Kids has always been about being there when a child’s PCP cannot. I am excited that the visit information will be provided to the PCP closing the continuing care loop. This is safer for the patient and more efficient. When will VirtualPediatrics be available? Dr. Halbrook, would you share a bit about yourself both professionally and personally? My involvement in VirtualPediatrics is exciting because in 1989 as the movement of urgent care was evolving I found it the perfect environment for me to have set hours so that I could spend more time with my family. Busy ERs were eased of the burden of urgent rather than emergent needs. PCPs had a trusted place to send their patients when they could not see them. Patients had access to timely care. Once my children were older, I returned to private practice. Now that I am semi-retired with a continuing love for the practice of medicine, this platform allows me to be a part of pioneering what urgent care for children via telemedicine looks like in Texas. It is the goal of UCK to make it safe, timely, effective and patient centered. Did you find this information interesting? Want to learn more about VirtualPediatrics and Urgent Care for Kids? Leave us your feedback in the comment below or reach out to us on Facebook, Instagram and Twitter. Take your Pick to Avoid Getting Sick!